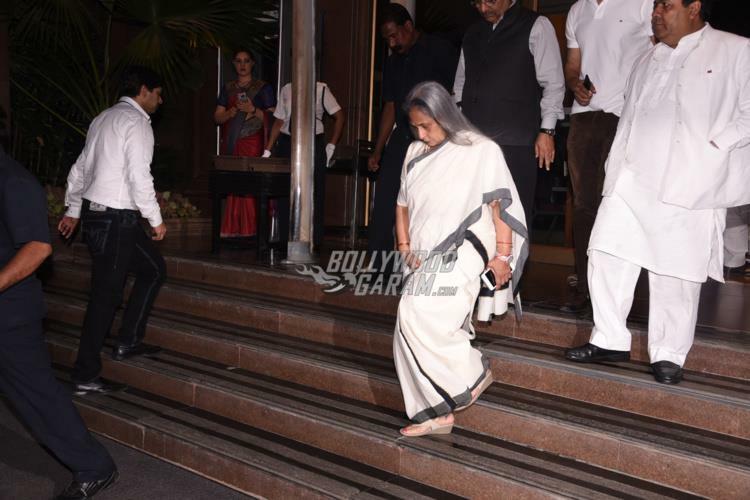 Celebrities from the film fraternity were snapped attending the prayer meet of Aishwrya Rai Bachchan’s father Krishnaraj Rai, held on March 21, 2017. Krishnaraj Rai lost his battle with cancer on March 18, 2017. He was an army biologist and had been on life support at Lilavati Hospital, Mumbai in his last day. 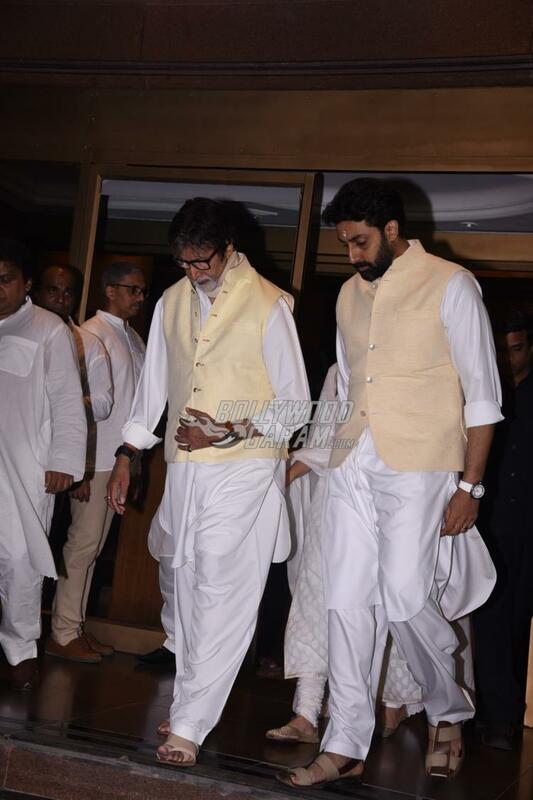 The prayer meet was attended by Aishwarya Rai Bachchan with daughter Aaradhya and husband Abhishek Bachchan, Brinda Rai, Jaya Bachchan, Amitabh Bachchan, Dimple Kapadia, Simi Garewal, Neetu Kapoor, Shraddha Kapoor, Shah Rukh Khan, Ashutosh Gowarikar, Twinkle Khanna, Sridevi, Jackky Bhagnani, Goldie Bahl, Shakti Kapoor, Neetu Kapoor, Boney Kapoor and Sonali Bendre. A bevy of celebrities offered their condolences to dear colleague Aishwarya Rai Bachchan. Aishwarya’s father suffered from Lymphoma cancer which gradually spread to his brain. 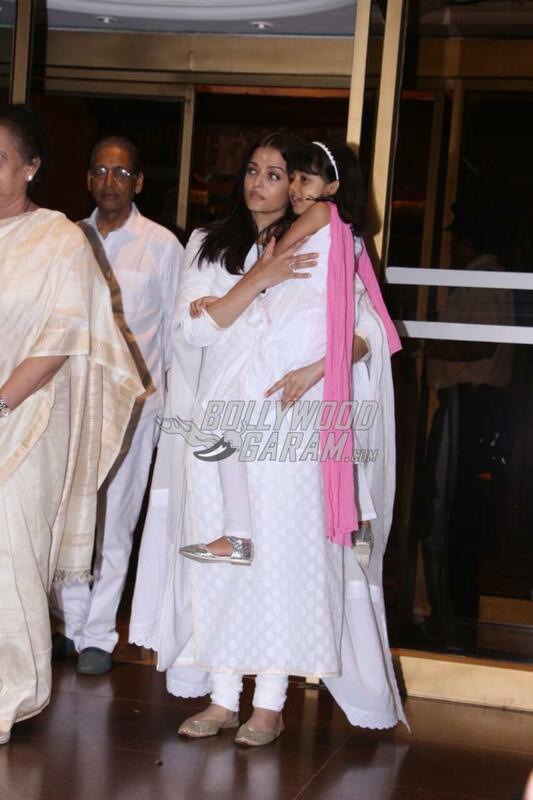 All through his illness, daughter Aishwarya was constantly by her side. He was hospitalized on March 8, 2017, early in the morning and passed away ten days later. 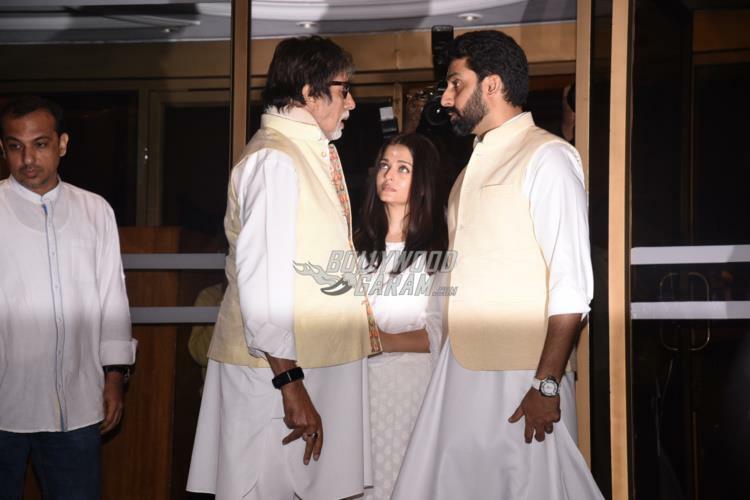 Husband Abhishek was constantly seen by wife Aishwarya’s side through the prayer meet. The actress and beauty queen was very close to her father. We offer our condolences to Aishwarya Rai and her family. Next articleAnushka Sharma, Diljit Dosanjh Promote Phillauri in Delhi - Photos!